Who is this “Cool Peep”? My name is Deniz (yes with a Z) and I’m a true New Yorker who’s short, loud and not afraid to be me! I’m 28 years old, but you could say I don’t look a day over 20. I grew up in Queens, New York and went to public school all my life, until I hit college, and then went to St. John’s University. I majored in Communications and pretty much had every job out there, from working as a production assistant for the Jerry Springer Show to a Promo Model for a Liquor Marketing Company. I lived in South Florida last year thinking that Florida would be my new home, but New York has my heart and I had to make the move back home this year. Right now I’m living in Moriches, Long Island and work in Montauk. Deniz, what are a few of your favorite things? My favorite things include my vast blazer collection (from H&M to Michael Kors), real NY pizza, shopping, trips to the beach, make-up (I could spend HOURS in Sephora), running, spending the day reading in Barnes and Noble (I love the smell of new books – is that weird? ), exciting vacations, challenging myself and learning new things. What is your favorite haunt? In NYC – Barnes and Noble on 5th and 46th Street – Just spending a few hours reading in a quiet book store while sipping on a Starbucks Latte can do wonders for your psyche. Florida – Delray and Deerfield Beach. I love running on the beach in Florida, such an amazing way to clear your mind and re-energize. You can also find me having a few drinks at Sandbar. What is on your wish list? To have my home featured on HGTV! I love interior design and I want to be able to design a beautiful home and have it featured on an HGTV show. I would also like to travel the world and see the world’s most beautiful beaches. Perhaps even buy a home on the ocean. What song plays when you walk into a room? Back to the Future Theme song – My favorite movie of all time! Where can we find you next? 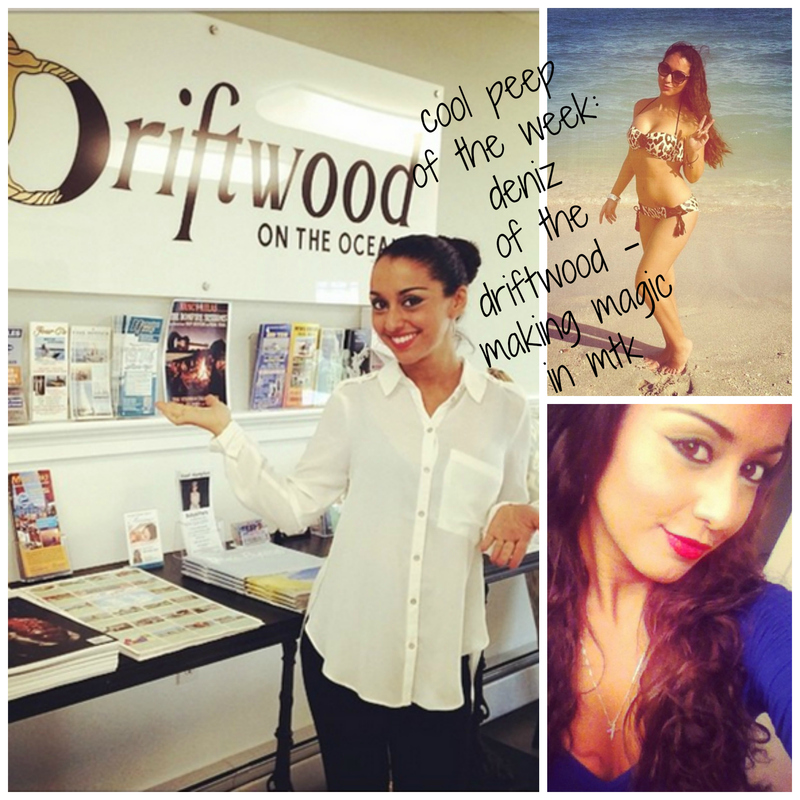 You’ll find me managing the Driftwood Resort in Montauk, enjoying the beach life. Come visit us through October – the sun is shining and the beach is a gorgeous as ever! Shoot me an email at dk@obmresorts.com-we look forward to seeing you at our property!